Kiehl’s flagship store window design, best design award at 2016 RIBA Windows competition. Lighting design by 18 Degrees. The RIBA Windows project is a competition run by RIBA in partnership with the Regent Street Association and sponsored by The Crown Estate. 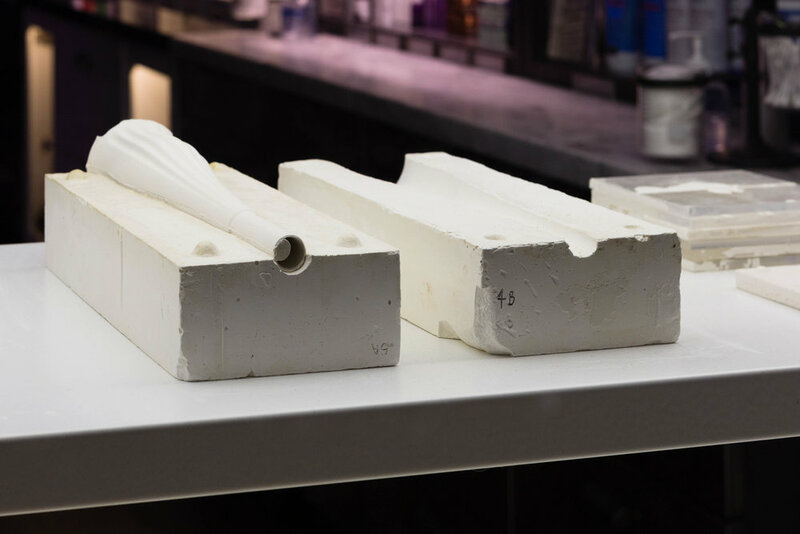 Working with London architectural practice Piercy & Co; we created an installation in the window of cosmetic brand Kiehl’s in London’s famous Regent Street (as part of the RIBA Regent Street Windows Project, coinciding with both London Fashion Week and the London Design Festival. The concept was to create a representation of the sustainably sourced quinoa husk (which is used in Kiehls’ products). This involved studying the structure of the plant and then figuring out how it could be made and lit. Piercy & Co have a tradition of making – any visit to their studio will confirm this; there are the most wonderful models everywhere! They use a workshop just outside of London where there are the kind of toys that grown-ups would die for. We’re talking lathes, bench saws and CNC cutters, 3D printing, even a kiln. 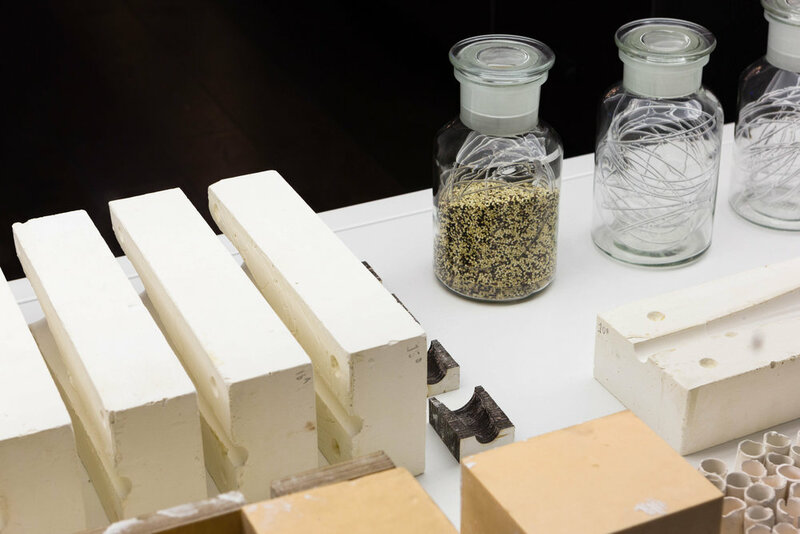 Over the course of a couple of months the team figured out how to make the quinoa husks – a process that involved 3D printing slip moulds, firing, glazing and assembly. The arrangement of husks comprised some 160 pieces, each one individual, complete with those charming little flaws that you get when you make something by hand. Each of the husks was to incorporate a tiny light source. How to do this? We considered a few options before settling on fibre optic and a remote projector. 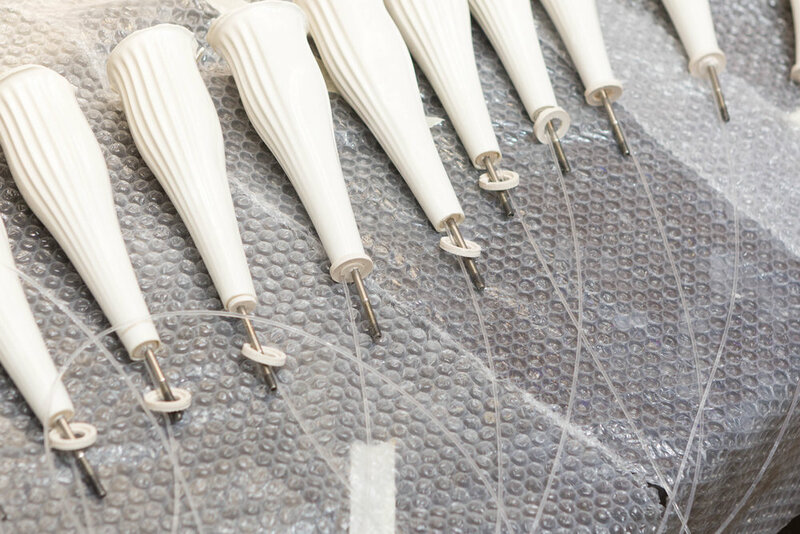 All the pieces were made at the workshop, leaving the small task of assembling the piece on site when the store closed at 6pm Sunday evening. 12 hours of intensive activity later, at 6am, it’s finished. There were around 10 of us there all night building this thing, piece by very delicate piece. There were setbacks and breakthroughs. There was laughter and tears. But we did it and it looks amazing. Our labour of love was recognised and took home the Best Design gong at the RIBA awards presentation.